CarGurus has 44 nationwide Bentley Bentayga dealers with 396 new car listings. Bentley was the first ultra-luxury automaker to dip its toe into the uncharted waters of the SUV market with the launch of the Bentayga last year. It proved to be a success, with Bentley selling out its first year of global production, and has prompted competitors such as Rolls-Royce and Lamborghini to gear up for their own SUV debuts. They’ll be playing catch up with arguably the most well-appointed SUV on the market, which only gets more luxurious for 2018 with the addition of a bespoke version from Bentley’s own Mulliner division. At this year’s Geneva Motor Show, Bentley debuted the Bentayga Mulliner, complete with a plethora of bespoke touches. The exterior displays two-tone paintwork, chrome grilles in the lower fascia, and a set of 22-inch wheels with weighted center caps so that the Bentley logo stays permanently upright. Stepping inside reveals special hand-stitched, two-tone leather upholstery, and rear passengers are treated to a refrigerated compartment with crystal champagne flutes. The Bentayga Mulliner also comes standard with several features that are options on the regular model, such as a 1950-watt Naim audio system and the Touring and City Specifications, which add driver-assistance features like adaptive cruise control, a head-up display, lane-keep assist, and more. Elegance is the theme when it comes the Bentayga’s design. The front end is reminiscent of the Continental’s, with circular headlights, a trapezoidal grille, and a long hood to cover the W12 engine. 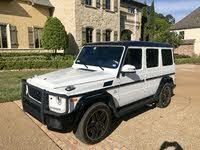 Along the side, wide rear fenders flow into a sharply raked tailgate to give the SUV a sporting look. Inside the cabin, hand-stitched high-quality leather covers most of the surfaces, with a selection of available veneers ranging from Piano Black to Burr Walnut. And of course, Mulliner is ready to assist should you find the selection of upholstery and trims not to your liking. Nestled around the Bentayga’s luxury appointments are a surprising number of high-tech features. The center stack comes with an 8-inch touchscreen with gesture controls, which means you can operate the infotainment system by waving your hand in front of the screen rather than touching it. Other features include navigation, a 60 GB hard drive, Apple CarPlay and Android Auto integration, Bluetooth hands-free calling, and 4G LTE capability with Wi-Fi. A 6-channel, 10 speaker audio system comes standard and can be upgraded to either a 12-speaker system or the 1950-watt Naim audio system, and a rear-seat entertainment system with 2 Android tablets is also available. If there’s a weak point to the Bentayga’s interior, it’s the amount of available space. While front passengers get plenty of head- and legroom, the back offers a much more limited amount of legroom. Cargo space comes up a bit short as well, at just 17.1 cubic feet if you opt for a bench seat. The 4-seat arrangement shrinks space even further to 15.2 cubic feet. Under the Bentayga’s hood is a turbocharged 6.0-liter W12 engine pumping out 600 hp and 664 lb-ft of torque. Power is routed through an 8-speed automatic transmission to a full-time all-wheel-drive (AWD) system. An optional All-Terrain Specification adds 4 off-road drive modes, skid plates, and a camera mounted at the front for a better view of what’s ahead. It may seem crazy to take a Bentley off-road, but those who have say it’s quite capable on a variety of terrains. 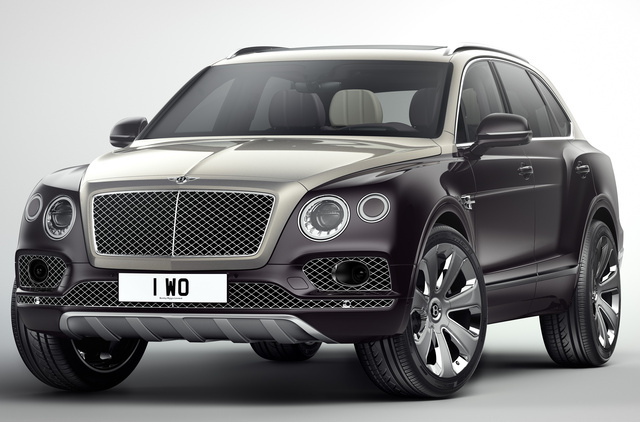 Performance-wise, the W12 will scoot the Bentayga to 60 mph in 4 seconds and on to a top speed of 187 mph, making it the fastest SUV on the market. You do pay a price for all this performance, however—the Bentayga returns a mere 12 mpg city, 19 highway, and 15 combined. If you’re not so keen on becoming best friends with the gas pump, Bentley will be introducing a plug-in hybrid Bentayga in the next couple of years. For a vehicle with a curb weight of 5,379 pounds, the Bentayga doesn’t show it when going around a turn. Test drivers report little body roll on corners, thanks to a new 48-volt super-capacitor system that controls a set of anti-roll bars. The system automatically adjusts the angle of the bars for a smooth, magic-carpet-like ride experience. The Bentayga comes equipped with all the latest safety features, such as blind-spot monitoring with rear-cross traffic alert, forward-collision warning, traffic-sign recognition, parking sensors, and a reversing camera. Since it’s such a new model, the Bentayga has not yet been crash tested. What's your take on the 2018 Bentley Bentayga? Have you driven a 2018 Bentley Bentayga?